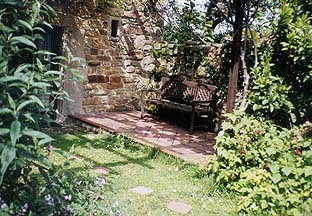 A small retreat for peace and relaxation. Traditional Farm with Native Rare Breeds in Survival Trust of Asturias (Celtic traditions). Ecomuseum of Asturian Pony (Asturcon pony) with exhibition about origins of asturcon and other celtic ponies. 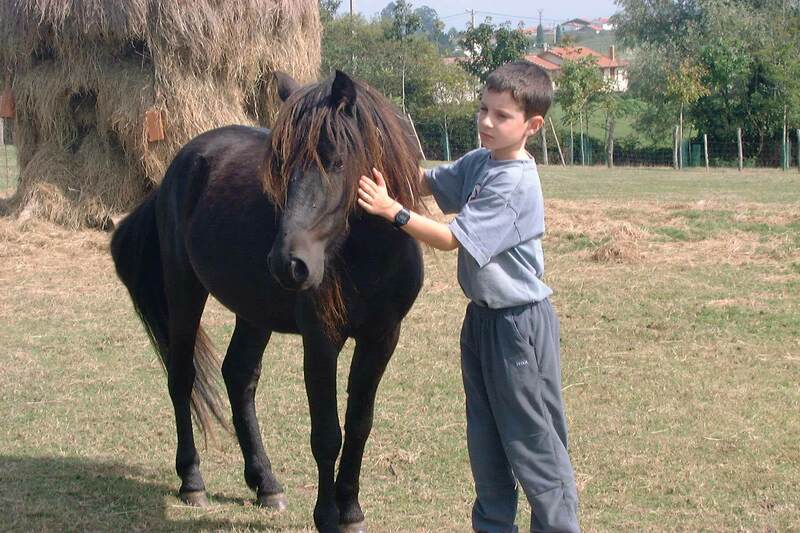 Breeding of asturian ponies, sheeps and chickens. A selection of professional speciality courses. 1 acre of garden with tables for lunch, 1 acre of breeding area with ponies, sheeps, chickens and ducks. 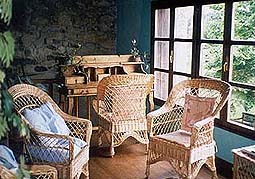 The Quintana de la Foncalada is in rural area near the Cantabric Rocky Coast (1 km.) with jurassic imprints. The Quintana provides a flexible personalised service, which enjoys responding to individual needs. Walking - A countryside with several possibilies for all walkers. Wildlife - The Natural area of Villaviciosa Estuary is a haven for wildlife of many rare species. Boating - Exploring the estuary by canoe, rowing boat, sailing dinghy or small out-board. Swimming – Little natural beach (4 km.). Mountain biking - The numerous tracks and absence of traffic provide the ultimate thrill for serious mountain bikers. Fishing - An excellent sport fishing opportunity. Cooking - The Quintana offer local and organic products. location: Asturias , North-West of Spain. 1 km from the coast and 25 km from Gijon and 150 from Santander. Access: Motorway A-8 Bilbao-Santander-Villaviciosa. Road AS-256, Villaviciosa to Gijon. Km. 8, Argüero. Two and a half hours by car from Bilbao. One and a half hours by car from Santander. One hour by car from Asturias Airport . By train or Bus to Gijon . >From there, there is a bus service available to Argüero/Villaviciosa. a brief history: The buildings at Quintana de la Foncalada have all been built in different periods since 18th Century..
Daniele and Severino, Ceramists by profession, came to Spain from Switzerland over Christmas '84 and decided to move here. They returned in April of '85, and first created a ceramic whorkshop in Oviedo and found the Quintana in end of ‘85. 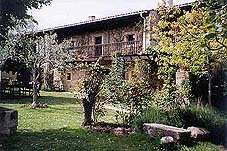 In June ’86, they settle in Quintana de la Foncalada with ceramic whorkshop and their first baby, Gael born in Oviedo, in March ’86. The Quintana was a traditional very neglected farm. Since ’86 to ’90, Daniele and Severino have reformed buildings and in ’90 begin to receive guest in their Bed & Breakfast accommodation. Since ’93 the Quintana begin breeding of native breeds in Survival Trust. First with asturcon ponies (’93), after sheeps (’96) and chicken (’01). 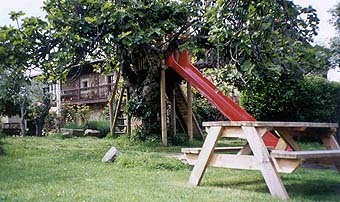 Since ’99 the Quintana propose a little ecomuseum with a presence of native breeds and an exhibition about it’s origins. Over ecomuseum building was installed a solar structure for water and photovoltaic system. In ecomuseum they organise exhibitions about native breeds, traditionnal handicrafts (pottery, jet,...), organic products and natural training for ponies/horses. In 2001, the Regional Government of Asturias distinguish these initiative with Quality Diploma of Tourism for the quality of services and engagement with environmental and cultural resources. For booking we ask for a deposit of 35% with a minimum payment of two nights stay. In the case of cancellation last week of dates booked, this is non-refundable and non-transferable (50% 2 weeks before of dates booked). We reserve the right to re-let any room after 16.00 hrs unless previous arrangements have been made. Minimum stay is two nights. We accept VISA and Master Card, (with handling charge of 5%).